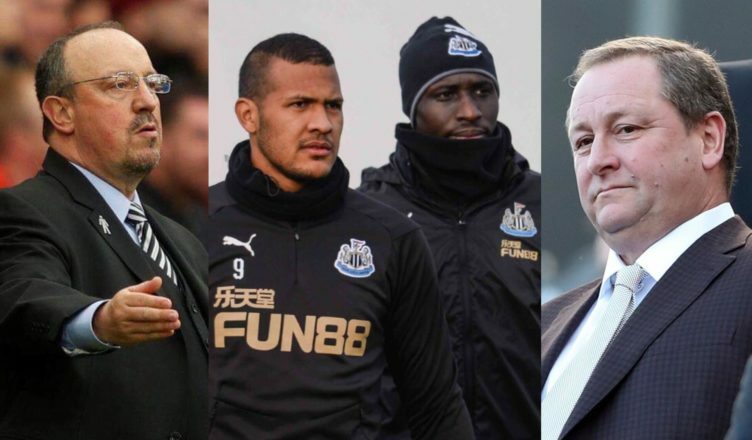 Rafa, Rondon & Diame all set to leave this summer – unless we see a major U-turn from Mike Ashley.. – NUFC blog – Newcastle United blog – NUFC Fixtures, News and Forum. As it stands, Rafa Benitez and Mo Diame’s contracts will expire this summer and Salomon Rondon will return to West Brom once his loan deal ends. Who has the power to change all of this? Mike Ashley – and unless his approach to backing a manager on all fronts and players approaching (or in) their 30’s changes, we’re in serious danger of losing all three. Allowing Rafa to back his own judgement on players, regardless of their age, will go a long way to persuading him to sign up to a new contract at Newcastle. After all, Rondon and Diame have proven themselves and would be assets moving forward to the squad – they would be ‘no risk’. Ashley needs to understand there is more to be gained than re-sale value. Rondon at £16m may be a lot, but he has Premier League experience and his goals can fire us up to the league, with a better team behind him – meaning more prize money. You have to speculate to accumulate. Rondon providing competition to a younger striker we bring in would also only be a good thing. Diame will be 32 this summer – he wants two year deal apparently – which is unlikely in the Ashley era. However, he would provide squad depth and again at no risk, saving transfer funds of first XI players. Why not sanction that and back the manager? It’s a simple move to make and one that would help keep Benitez happy. The frustrating part of all this is we already have a world class manager and are potentially losing him for totally avoidable circumstances. With the TV money NUFC get – another £100m plus next year if we stay up – these two deals should be no brainers. But with Ashley, there is no such thing.